Looks Good from the Back: Adrien: Things Seem Bleak. Wow, Adrien. That is a little bleak. 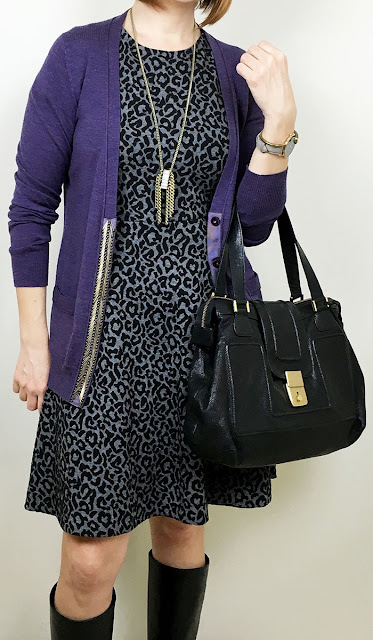 I do love my LOFT leopard flare dress but it needs a bit of color to perk it up. My dress is sold out but this one at LOFT is the same cut and this LOFT flare dress looks a bit more like spring. And hey, there is seasonal leopard print (so cute) and if you wear a size 8, jump on this. I threw an old BR cardigan over it for a little bit of color. It's basically impossible to find something similar with the beading but the Banana Republic boyfriend cardigan is the same shape and currently on sale and the Gap cotton essential cardigan looks like the exact kind of droopy thing I like. There's also this one at JCPenney which is really inexpensive and comes in tons of colors, including purple. 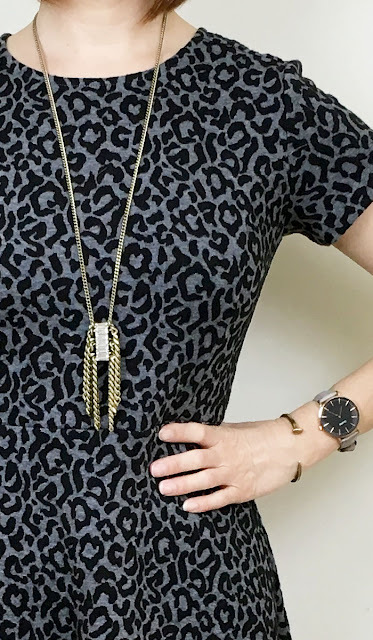 So, yeah, I finally bought that Banana Republic Fringe ID necklace I keep yammering on about. It twists around a bit but is solidly made and I love the sparkly center. Good stuff on sale right now in the jewelry section! I love this tiny tassel necklace and this necklace is super-crazy but so much fun. I'm also wearing my Cluse La Bohème rose gold watch and a Giles and Brother skinny railroad spike cuff. My bag (which I know I talked about recently) is by Andrea Brueckner but of course I think this MBMJ satchel would be a great update. 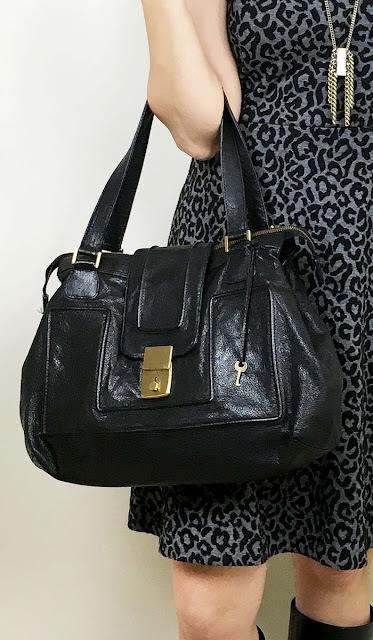 For those on a budget this Gabriella Rocha bag looks quite similar! That's all I got! Have a good Monday, all.